This needs to be filed under "Too Much of a Good Thing." General Mills is teaming up with the Girl Scouts to turn Girl Scout cookies into breakfast cereal. 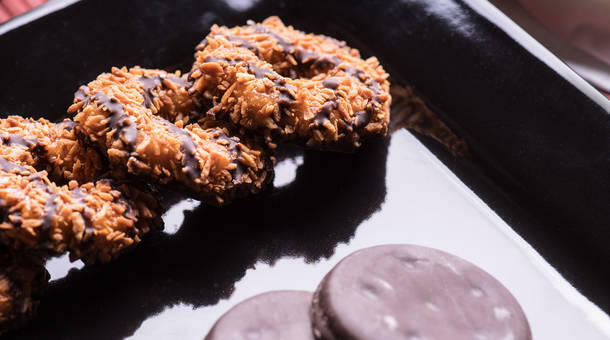 We know there will be a Thin Mint variety, as well as Caramel Crunch, which seem to be based on Samoas. It's hitting shelves come January 2017.